Scenic Gem sails the beautiful rivers of France and delivers the same all-inclusive luxury experience synonymous with the new fleet of Scenic ‘Space-Ships’. Enjoy a private butler service, a wealth of dining venue options including L'Amour fine dining restaurant and spacious suites. 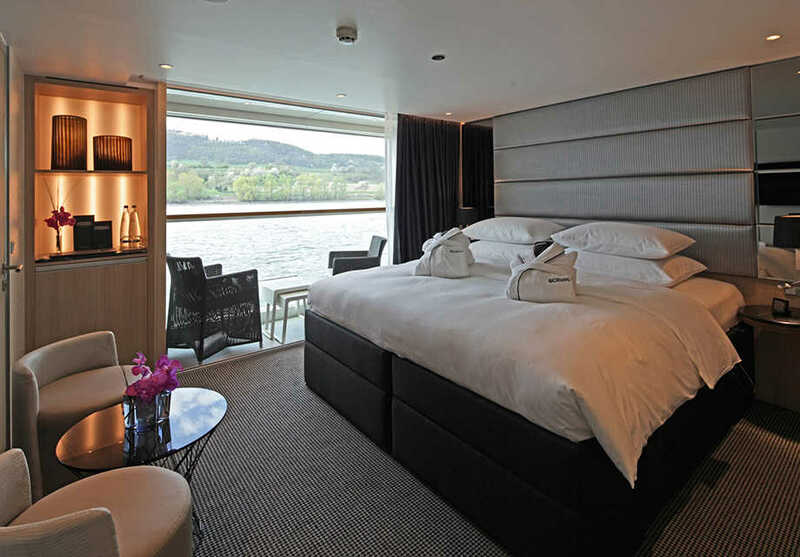 Introduced to our portfolio of luxury Space-Ships in 2014, Scenic Gem has been custom-built to negotiate one of France’s best-loved passageways, the graceful and elegant Seine. Measuring 110m, Scenic Gem is a refined and intimate vessel whose cutting-edge features and amenities make it, without question, one of the safest, most comfortable riverboats operating on this much-loved river system. Scenic Gem is the most luxurious ship currently cruising the Seine River and was purpose-built to cruise all the way to beautiful Honfl eur. With only 64 suites, guests will enjoy an almost 1:3 staff to guest ratio along with every all-inclusive 5-star luxury amenity you've come to expect on a Scenic Space-Ship. With innovative new technology, your Scenic Space-Ship will be your gracious floating hotel as you cruise the waterways of France. Intimate and friendly, with every amenity you could wish for, our Scenic Space-Ships were designed with you in mind. From the moment you step onboard, you’ll be spoilt for choice. From our wide selection of dining options right down to your pillow menu, you’ll enjoy the ultimate in all-inclusive luxury, every moment of the day. 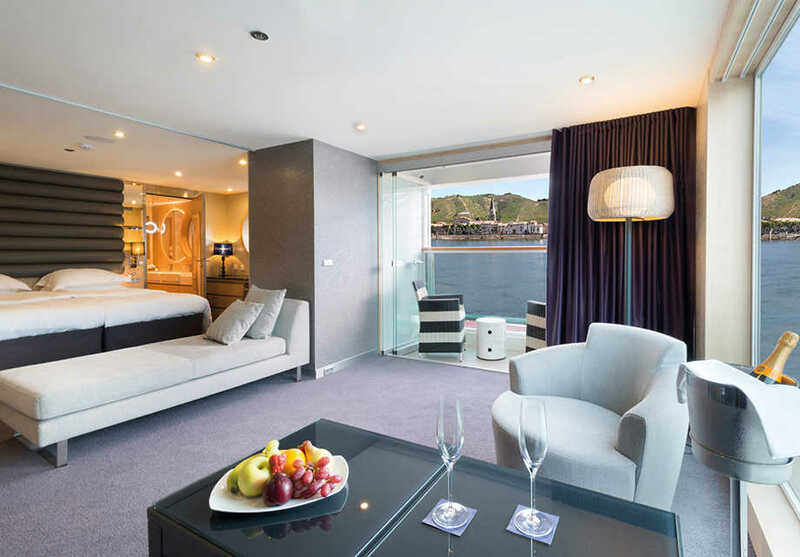 Onboard you’ll have full access to a fitness centre and wellness area, special onboard entertainment, Wi-Fi internet, e-bikes and of course luxuriously appointed suites to retire to at the end of the day. 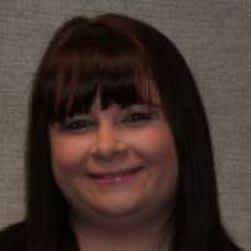 Your Cruise Director, as well as every member of our hospitable onboard team, are on hand to make sure you make the most of every minute of your time on board your Space-Ship. Delivering the same all-inclusive luxury experience synonymous with the new fleet of Scenic ‘Space-Ships’, guests on Gem will enjoy private butler service, a wealth of dining venue options, private balconies with Scenic ‘Sun Lounge’, and our usual wide choice of complimentary drinks whenever and wherever you are onboard. 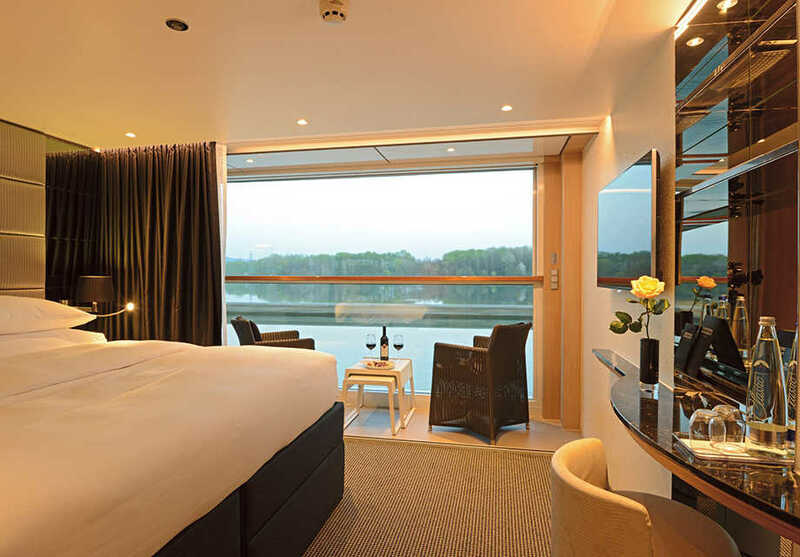 Exclusively designed and crafted to cruise the Seine River in Northern France, Scenic Gem affords guests unbridled luxury and opulence atop this timeless and enchanting waterway. More than capable of negotiating the meandering ebb of the Seine, Scenic Gem is able to sail to the port commune of Honfleur; a rare ability for a riverboat of this class. 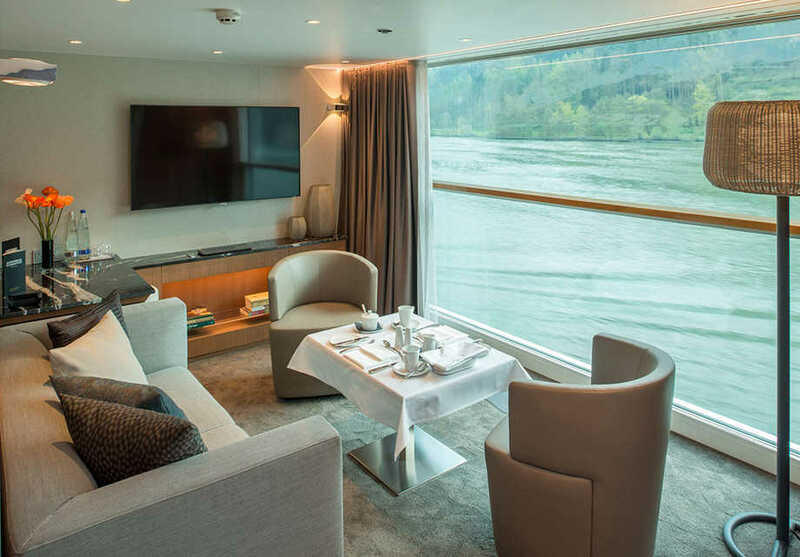 Despite this capability, Scenic Gem boasts all of the luxury features you’d expect from a Scenic vessel — think opulent designer touches, a host of award-winning dining venues, and of course, the most spacious and luxurious cabins of any river cruise operator. 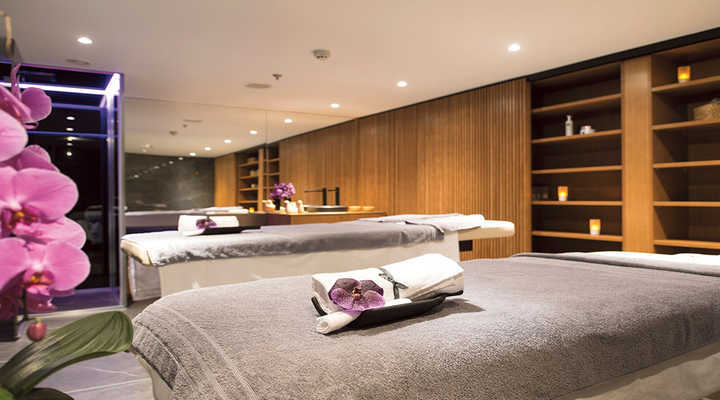 The wellness area onboard the ship offers a variety of treatments and there is a gym and walking track to keep you fit and active. This French dining restaurant is exclusive to Scenic Sapphire and Diamond shops and features a five-course menu with regional delicacies and local wines. There are also some stunning panoramic views. There are a variety of cabins and suites to choose from, many of which have their own Scenic Sun lounge. This suite features a separate bedroom and living room as well as a private balcony. 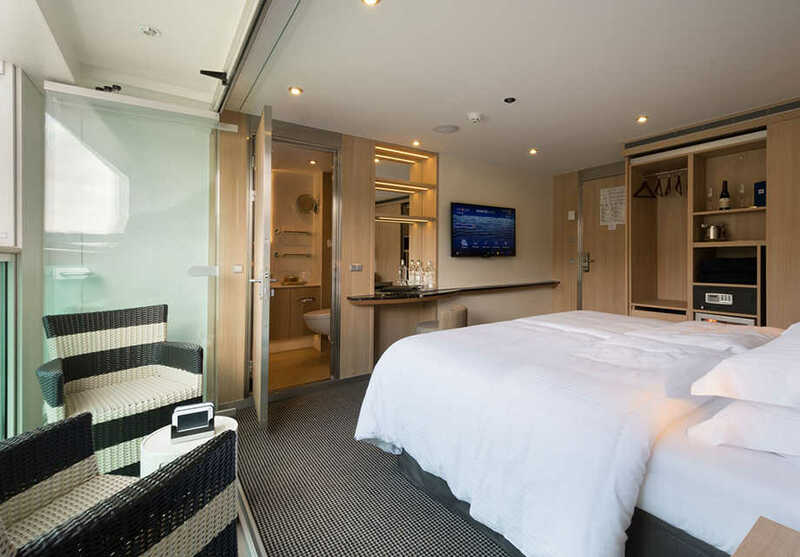 This suite has a private balcony, one double bedroom and bathroom with tub. This suite features one double bed and a private balcony. This suite features a separate bedroom and living rooms along with a private balcony. This suite features a double bed and private balcony and is altered for those with limited mobility.